Today I was testing a Camps Primera Negra flamenco guitar from Hermanos Camps guitars before to send it to Germany for a very lucky client and as I was testing the guitar I could not stop my self to share my impressions about this wonderful guitar with you . The first impression when I took the guitar out of the box apart from the wonderful smell of wood was the details of the finishing. Absolute perfection in every detail from the head to the bridge (very thin and beautiful) and the second thing I noticed is that it feel’s like flamenco guitar (Seems obvious but for some the look os this guitar with its dark solid rosewood body may be confusing. It is really light and if you look you can even see that the the solid spruce top is pretty thin. The workmanship is excellent and the guitar look expensive and definitely well-made. But of course playing the guitar is what matters, and I’m not sure if I was more impressed by how it feel’s or how it sound. One of the things that separates even really excellent ‘student’ models from luthier-made guitars is that they tend not to play as easily – and when you get a perfectly set up guitar in your hands you notice it right away. This guitar have that perfectly set up feeling, and there is nothing difficult about playing it, and in fact I found it easier to play than a lot of other more expensive guitars I’ve played. Scale length is 650mm and width at the nut is 52mm on this model. And then there’s the sound. The thing about a flamenco guitar (for me, of course ) is that balance between the pretty and the growl. You need some buzz, but of course there’s a limit and it’s all very subtle. When you play a rasgueado you want that sound to shoot out fast and to pack some punch, and in this guitar have that sound without sounding all buzzy when you’re playing single notes, arpeggios, or falsetas. You could play classical on this guitar, if you’d want to. This is straight up a flamenco guitar that do exactly what it’s supposed to do. That said, the Primera Negra does have a little extra roundness and sustain thanks to its rosewood body without in any way losing its growl when you push it in the right way. If you want a guitar to play both flamenco and classical on I’d choose this one. I’m really amazed at just how good this guitar is for, and for the money is one of the best flamenco guitars you can buy. If you want to know the full specifications and price for tha Camps Primera Negra, press HERE. But who are Hermanos Camps anyway? 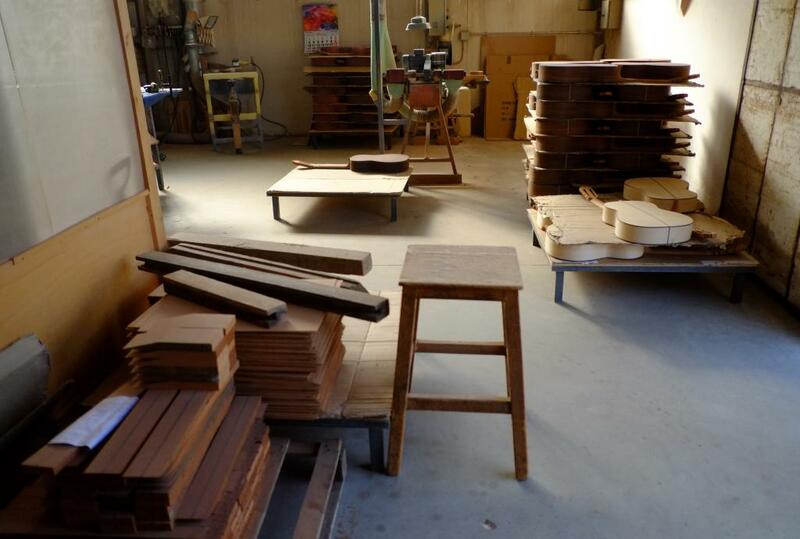 The workshop was founded by Juan Camps Coll in 1945, in Banyoles, Spain. With his musical and woodwork education, being a self-taught researcher with an entrepreneur personality, Juan Camps was constantly investigating and experimenting, having used the most varied building systems throughout his life, different glues, woods, varnishes, etc. 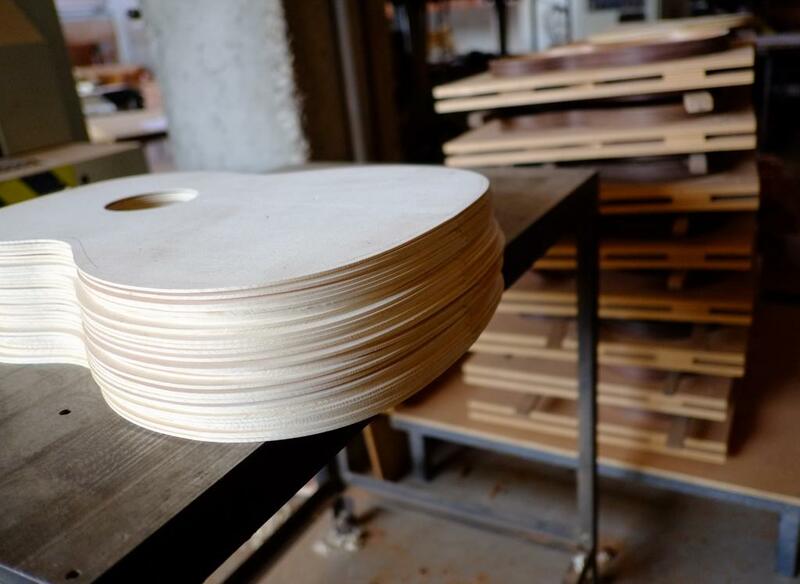 His main goal was to build a guitar that offered the best price-quality relationship, so that all guitarists could aspire to buy an instrument of high acoustic and building quality within a reasonable budget. The current heirs of his experience and knowledge are his sons: Javier and Jordi Camps “HERMANOS CAMPS” (“CAMPS BROTHERS”), who -after a thorough technical and musical education- joined the workshop in 1989. Their work is handcrafted, but they incorporate the latest technological advances to achieve an even higher final quality. Thus, they have included modern elements such as carbon fiber, adjustable titanium ribs, six-contact bridges for amplified guitars, MIDI, and modern varnishes and adhesives. 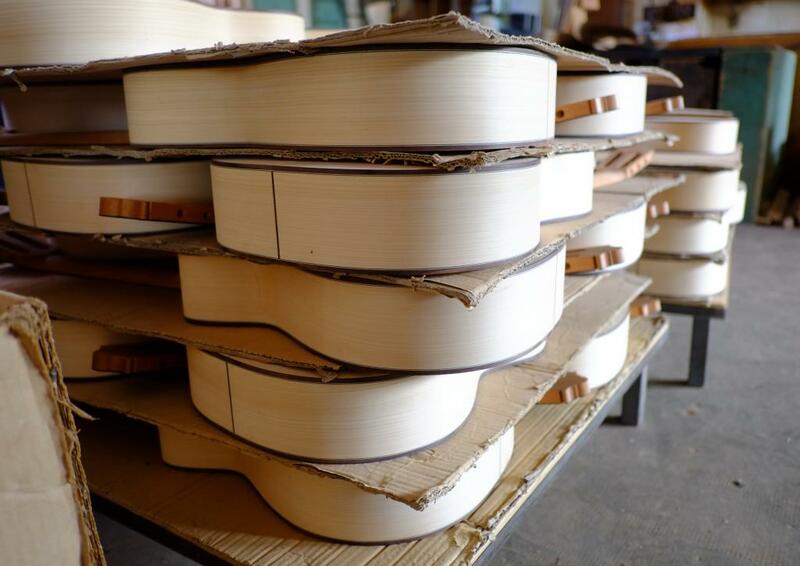 Camps brothers, faithful to their father’s entrepreneur spirit, build in accordance with the traditional Spanish systems, but they continue to research with the advice of the best musicians, so that each instrument is better than the previous one. They incorporate modern techniques for calibration, machining, polishing, finishing and control, with the aim of offering the best guitar possible: the most comfortable and in-tune guitar too. Posted in Acoustic Guitars, classical guitar music, Classical guitars, electro classical guitars, electroacoustic guitars, flamenco electric guitars, Flamenco guitars, flamenco instruments, flamenco music, flamenco players, guitar, guitar music, Guitar players, MIDI guitars, musical instruments and tagged best classical guitar, best flamenco guitar, buy flamenco guitar, buy flamenco guitar direct from spain, buy spanish guitar, camps brothers guitars, camps flamenco guitar, Camps guitars, camps primera guitar, camps primera negra, classical guitar, flamenco guitar, flamenco guitar price, guitar camps, hermanos camps guitars, how to buy spanish guitar, spanish guitar, Spanish guitar making, Spanish luthier. Bookmark the permalink. No quiero abusar de su tiempo, pero sí debo agradecerles por haber seguido el blog durante tanto tiempo, muchas gracias por acompañarme y espero hayan aprovechado los métodos, partituras y artículos de mi viejo blog. Sin más a que referirme, espero contar con que sigan la nueva web TodosobrelaMusica.Com, prometo subirles mejores métodos, partituras y artículos, tal cual he empezado a hacer. Cualquier aporte o pedido que quieran hacer por esta vía o en la página, con gusto las tomaré en cuenta y responderé a la brevedad- Saludos. Ok Johel, Ahí estaremos siguiendote. I have the Primera Negra and it is an amazing guitar! I feel like I got one of those $5,000-8,000 dollar guitars.